You may already know that it’s possible to collect and sell junk metal to earn some cash. The good news is that it is now easier to do it. Thanks to the internet, the process can be made faster, and you will not easily fall prey to the schemes of stingy metal buyers. It is now easier to find scrap yards in Dudley or other towns and cities where you can sell your haul at the best prices. Likewise, there are fewer hurdles in finding scraps to collect. Thanks to the internet, you no longer have to wander around trying to find discarded or abandoned metals to gather and sell. You can do a quick online search to find the nearest junkyards. Gone are the days of having to ask around and travel to places without any sense of certainty. Now, you can plan your day and make quick enquiries to make sure that you will have a fruitful time in the places you visit. You can also use social media to crowd source information on where you can obtain abandoned metals that can still be recycled. Additionally, you can post notices online asking friends, neighbours, and households in nearby locations that may have metal junk they want to get rid of. You can volunteer to dispose of the unwanted metal pieces for them, or you can buy them for a certain amount and sell to recyclers for a profit. What makes scrap metal collecting and selling easier nowadays is the plethora of knowledge on the matter posted online. 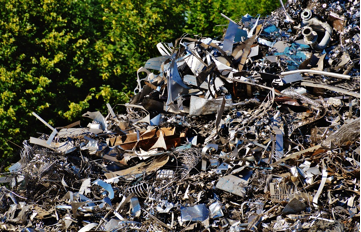 You can find many guides, articles, and insights online on how to make the most of the discarded metals you want to sell. You can check out the prevailing prices for recyclable metal buying and selling. There are tips on which types of metals you should collect and how to clean and group them, so you can get the best possible rates. With the help of information shared online, you would have to be naive or gullible to fall for the tactics of some scrap buyers. You should know that you have to put together metals of the same type and quality, so the price assigned will be for the specific kind and quality of metal you sell. Otherwise, the buyer will price the bunch you are selling based on the price of the lowest quality metal in the mix. It’s also fortunate that some metal buying companies are providing ways to help scrap sellers. There are some that provide automated answers for those seeking estimates on the total cost of the metals they want to sell. Some even volunteer to bring their truck to the location of the scrap (if there is loads of it) so the seller does not have to worry about the hauling. There’s no doubt that the recycling of metal junk is more convenient at present. There’s no reason not to be involved in recycling, especially when you can make some cash out of it.